As one might expect, itwouldn?t be an interview with George Takei without some mention of Star Trek. The man still best known asCaptain Sulu was more than gracious about it all, particularly in considerationof the recent passings of Majel Barrett Roddenberry last December and RicardoMontalban earlier this January. ?Ricardo was a bigger thanlife guy,? Takei reminisced. ?He was a connection to old Hollywood. He was acontract actor at MGM Studios in those days. Ricardo was a romantic lead and anaction actor. I remember On and On With Youthat he did with Esther Williams. So he represented the Golden Age ofHollywood, and he certainly was that when we worked together on both the TVseries and the second feature film, TheWrath of Khan. ?He was bigger than lifeand very gregarious. You know, we would walk into makeup, more like shambledinto makeup for most of us. But Ricardo would always make an entrance into makeup. He would sit thereand say ?Good morrrrning.Everybody! Oh! Nichelle! You look gorgeous!George! You?re wonderful!. Ilove you!? He really was a fun person to sit around. Being something of a moviebuff, I would ask him about the contract player days.? He didn?t slightMontalban?s contribution to Star Trek?s longevity, either. ?He was someone who alsohelped revitalize the Star Trekfranchise. Without Wrath of Khan,I think the movie series would have probably enjoyed its time in the sun butquickly have set on it, too. ? ?I was deeply saddened tolearn of Majel'spassing this morning at her home,? he also noted. ?She was a friend, acolleague, and a dedicated pillar of the Star Trek legacy after the passing ofits creator and her husband, Gene Roddenberry. She was a gifted actress, but,more than that, she was a dear friend. ?I will always rememberMajel as a warm, generous ally in many of my efforts outside the acting arena.She and Gene were my first supporters when I decided to run for public officein Los Angeles and keynoters at the first fundraising dinner of my campaign.Majel was a vivacious hostess and I will cherish the memories of the sparklingparties at her lovely home. She truly was the First Lady of Star Trek. Majel'spassing now leaves a huge vacancy in the Star Trek heritage and in the heartsof so many friends and fans across this planet. Brad and I send our love andheartfelt condolences to her son, Rod.? Not that Takei?scontributions to Star Trek isover. As it turns out, JJ Abrams sought him out for a bit of advice regarding the upcoming movie. ?You know, what?sinteresting, JJ Abrams was very concerned about how he was going to cast,? saidTakei. ?He asked me if I?d have breakfast with him. He told me he?d beeninterviewing many actors for the part. He tried as hard as he could to find anactor of Japanese ancestry, which is what I am, but he found another actor whohe thought would be wonderful. So he wanted to get my reaction to that. ?I assured him. I told himabout Gene Roddenberry?s philosophy. Another interesting story is when I wasbeing interviewed, I asked Gene how he came up with the name of Sulu. He saidhe wanted the Starship Enterprise to be a metaphor for Earth. So he wanted thepeople to represent regions of this planet. So Uhura was African and her namewas based on a Swahili word. ?So he was looking for anAsian name for what would be my character. Now Asian names are very nationalityspecific; Tanaka is Japanese, Wong is Chinese, Kim is Korean. Now Asia also hasa reputation for warfare and colonization. Roddenberry didn?t want to bringthat into that character. So he was looking at a map of Asia and trying tosolve that dilemma. He saw there was a sea called the Sulu. It?s in the SouthChina Sea area. He thought, ?the waters of the sea touch all shores.? So that?show he came up with the name Sulu. ?So I told this story toJJ. I said it would be entirely in keeping with Gene Roddenberry?s vision. Itold him not to confine himself to one particular cultural group. If he feltthat actor could bring that kind of talent, he should go for it. So, assured bythat, he told me he was looking at John Cho. ?I told him that John wouldbe wonderful. I?m on the board of governors of the East-West Players over here,an Asian-American theater company. John had done many plays for us. I said hewas a versatile actor who had done many roles. He would be wonderful. Assuredby that JJ went on and cast him. ?John seemed to have beensomewhat awed by his new challenge. So he asked me to have lunch with him. Itold him to do his thing. I knew his work. He?s a talented actor. I assured himit won?t be long before I?ll be known as the ?old guy? who played John Cho?spart. All the scuttlebutt I?m hearing is that John?s done a great job. Sulu?sgot a new lease on life.? Abrams and Cho aren?t theonly two people Takei sign the praises of. ?I?m very much lookingforward to the movie,? said Takei. ?The only one from our cast who is in the11th film is Leonard (Nimoy). The justification for that is Vulcans are justmore long-lived than just about anybody else. ?The guy who?s been cast toplay a younger Spock in this film, Zach Quinto ,I worked with him, of course, on Heroes. I told Zach, aftercongratulating him, that all he needs to do to see how he is going to look likein forty years is look at Leonard today. They are spitting images of eachother. The likeness is uncanny. ?They are both talentedactors. Their personalities are alike, too. You know, Leonard and I used to talka lot about political events. I?m a political activist, and so is he. We usedto talk about the headlines all the time. Zach is a very serious and soberguy.? 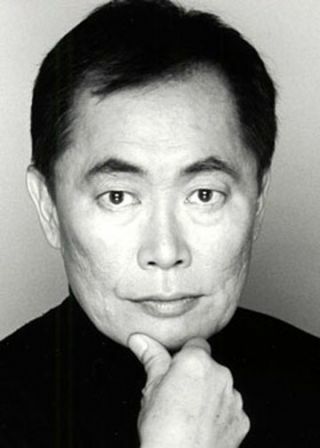 Still, it wasn?t hard tofind out Takei?s favorite Trekmoment. ?My favorite was the sixth film,where I got my captaincy,? he laughs. ?It was called The Undiscovered Country, as it was takenfrom Hamlet?s ?To Be or Not To Be? speech. That really is a Sulu film. When youare the Captain, you really move the film along. The helmsman only moves thefilm according to the Captain. In that film, it was Sulu to the rescue, becausewithout that Kirk would have been a goner. That?s the one I enjoyed the most. Ialso think Wrath of Khan was arip-snortin? good space opera, and Ricardo was the quintessentialadversary." As for Star Trek?s legacy, Takei didn?t waste asecond to respond. ?We were very conscious ofracial issues,? he said. ?Gene Roddenberry?s philosophy was the StarshipEnterprise was a metaphor for Earth. The strength of the starship was in itsdiversity coming together, working concert as a team. So we were conscious ofdifferences, but those differences that made the Enterprise that muchstronger.? IN PART THREE ? Heroes,the theater, Proposition 8 and keeping very, very busy.